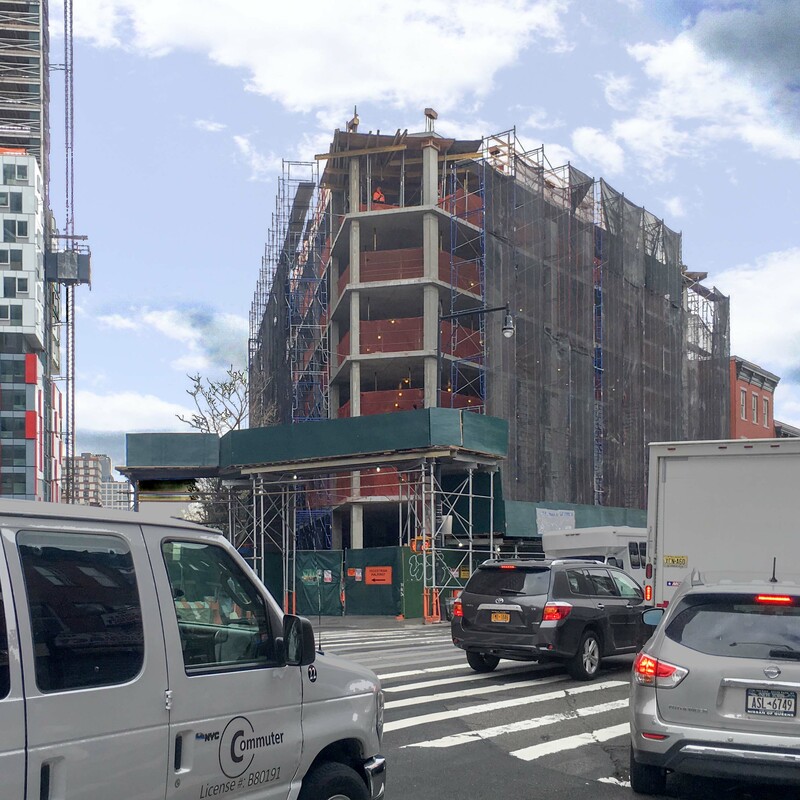 The superstructure construction continues at 470 Dean Street at the corner of Flatbush Avenue in Brooklyn. The 7th floor has been poured, and when complete the building will be 8 stories high, with 64 units of rentals. The project also has a garage with 3 levels of car parking, and over 6,000 sq. ft. of commercial space on the ground level.